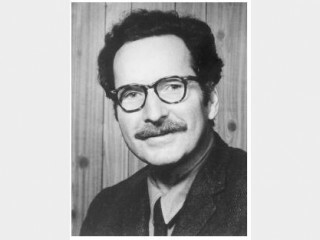 Ernest Becker (September 27, 1924 - March 6, 1974) was an American cultural anthropologist and interdisciplinary thinker and writer. Becker was not afraid to ask ultimate questions, nor was he willing to accept the limitations incurred by the social sciences in their quest for truth through the scientific method. This willingness to cross boundaries and challenge the status quo cost him his position and acceptance by the academic community in his lifetime. However, he was posthumously awarded a Pulitzer Prize for non-fiction in 1974, for his The Denial of Death. The thesis of his work was that individuals live in terror of their own mortality and thus seek to find ways to deny it. He recognized that human beings differ from animals in having a spiritual aspect as well as a physical body. He also understood that the fear of death is not really about fear of the death of one's physical body, but rather about the fear that one's inner aspects, the mental and spiritual functions that seeks meaning, will cease to exist. Becker suggested that a significant function of culture is to provide successful ways to engage in death denial. Becker also noted that the root of evil lies in the selfishness of human beings seeking to protect their own existence in the face of their mortality, which he regarded as an essential aspect of human nature. Recognizing such evil within human beings gave him concern about the future of human society. Although Becker was willing to include religion in his quest for understanding human nature and believed the true meaning of human life was connected to divine purpose, he did not accept the teaching of many faiths that the human spirit is eternal. When a person realizes that although their body will grow old and die their spirit lives forever in the afterlife, fear of death is lessened and denial of death is unnecessary. For Becker, raised in the Jewish faith and influenced by Freudian psychoanalysis, the concept of eternal spiritual life was not "truth," but merely another denial of death. Ernest Becker was born on September 27, 1924, in Springfield, Massachusetts, into a Jewish family. As a young adult he served in the infantry in World War II. There, he was involved in the liberation of a Nazi concentration camp. After the war, Becker attended Syracuse University in New York state. Upon his graduation, he joined the U.S. Embassy in Paris as an intelligence officer. Although Becker enjoyed living in Paris, he did not wish to spend his life in the diplomatic field. He returned to Syracuse University in his early 30s to pursue graduate studies in cultural anthropology, choosing anthropology as his course of study "naively because the term literally means 'the study of man'" (Leifer 1979). He completed his Ph. D. in 1960, writing a dissertation that examined the mechanisms of transference in Western psychotherapy and Japanese Zen. The published version of this work, Zen: A Rational Critique (1961) was dedicated to his adviser, Douglas Haring, a Japanese specialist, who had greatly influenced Becker during his studies (Liechty n.d.). Becker's first teaching position was at the Upstate Medical Center in Syracuse, where he taught anthropology in the psychiatry department. At that time, the views of Thomas Szasz, who had just published The Myth of Mental Illness (1961), criticizing the medical model of psychiatry had begun to be known. Szasz became Becker's strongest intellectual influence, creating opportunities for him to become knowledgeable about psychiatric theory and practice. During this time, Becker published his first two books The Birth and Death of Meaning (1962) and The Revolution in Psychiatry (1964), which directly contradicted the medical model; they were not widely appreciated in psychiatry. Becker joined Szasz' circle, regularly participating in his discussion group. Although not always in agreement, Becker supported him when Szasz was censored and removed from teaching. This lost Becker his position in the psychiatry department, and he spent a year in Rome, Italy, before returning to Syracuse to teach education and sociology in 1964. Becker continued to be outspoken, in favor of the Civil Rights Movement, and opposed to military and business research grants as he felt they undermined academic freedom (Liechty n.d.). Becker's contract was not renewed. In 1965, Becker moved to the University of California at Berkeley under a one-year contract. Although his classes proved popular, his methods and critical view of the prevailing empirical approach to social science research made him unpopular with the administration, who did not renew his contract despite student protest. Rather than continue to teach only non-credit courses, Becker took a position at San Francisco State University, where he hoped his interdisciplinary approach would be more acceptable. In 1969, he resigned his position at San Francisco State University when student revolts erupted and the National Guard were called in to maintain order. Becker found it inappropriate to have armed police at the door of his lecture on freedom (Liechty n.d.). Instead, he took a position at Simon Fraser University in Vancouver, British Columbia, Canada. The interdisciplinary department there suited Becker well, and he revised The Birth and Death of Meaning as well as writing his prize-winning The Denial of Death and Escape from Evil in his time there. However, he remained concerned about the problems of the world, feeling repressed and exiled from his own country (Leifer 1997). Unfortunately, Becker's life and work was cut short when he was diagnosed with colon cancer in 1972; he died on March 6, 1974, in Vancouver, at the age of 49. Ernest Becker was an astute observer of human behavior and society during the turbulent era of the 1960s and 1970s in the United States. He was driven to answer the question, "What makes people act the way they do?" Finding the social sciences fragmented, he worked toward an interdisciplinary view of human beings, one that invoked truth from every related discipline, including religion. Through his efforts, "he outlined a perspective on human motivation that is perhaps the most broadly interdisciplinary to date" (Liechty 2005). Becker came to the recognition that psychological inquiry inevitably comes to a dead end beyond which belief systems must be invoked to satisfy the human psyche. The reach of such a perspective consequently encompasses science and religion, even to the creation of a "science of evil." Because of his breadth of vision and avoidance of social science pigeonholes, Becker was an academic outcast. It was only with the award of the Pulitzer Prize in 1974 for his 1973 book, The Denial of Death (two months after his own death from cancer at the age of 49) that his contributions began to be recognized. Becker's The Birth and Death of Meaning, written in 1962 and revised in 1971, was Becker's first attempt to understand the human condition. Its title derives from the concept of humankind's move away from the simple-minded ape into a world of symbols and illusions, and then deconstructing those illusions as human intellect developed. Becker argued that it is language that sets human beings apart from other animals, and that it was through language that self-awareness and freedom from instinctive behavior became possible. In this volume, Becker was attempting to reconcile the fundamental human contradiction between mind and body. He described the human being as a creature of meaning, who "unlike any other natural creature, lives in two worlds: The natural and the supernatural, the world of matter and the world of meanings, suspended halfway between the animal and the divine" (Leifer 1997). When we understand that man is the only animal who must create meaning, who must open a wedge into neutral nature, we already understand the essence of love. Love is the problem of an animal who must find life, create a dialogue with nature in order to experience his own being (Becker 1968). In the revised version of The Birth and Death of Meaning published in 1971, he included his understanding of human fear of mortality. He argued that human beings have a physical body that is born and dies, thus all living creatures face death. The fear of death that humans experience, though, lies not so much in the death of the body but in the death of meaning, for it is meaning that defines the human self and society. Becker believed that the social sciences were mistaken in their efforts to model themselves after the natural sciences. He regarded the use of the scientific method as self defeating, since its goal of controlling the experimental situation removed the human elements that should be the concern of the social sciences. Becker saw human behavior as essentially unmeasurable, not due to lack of sophisticated tools but in its very nature there was lack of precision and predictability. He also argued that there was no universal individual for whom a "science of man" could be constructed; every personality is formed within a particular culture and the symbols of that culture are incorporated within each person's identity. Thus, a true understanding of human behavior requires a "science of man within society," in other words, it must include the social and cultural environment within which people live. For Becker, any source that aided in answering the question "What makes people act the way they do" was legitimate and of interest in developing such a "science of man" (Liechty n.d.). The Denial of Death emerged out of Becker's attempt to create this "science of man." Influenced by Otto Rank's view that the fear of life and death is a fundamental human motivation, Becker pursued his quest to understand human motivation in the context of mortality. Escape from Evil (1975) developed the social and cultural implications of the concepts explored in the earlier book and functions as an equally important second volume. Becker's The Denial of Death was published in 1973. He was awarded the Pulitzer prize for general non-fiction posthumously in 1974, two months after his death. The basic premise of The Denial of Death is that human civilization is ultimately an elaborate, symbolic defense mechanism against the knowledge of mortality, which in turn acts as the emotional and intellectual response to a basic survival mechanism. Becker argued that a basic duality in human life exists between the physical world of objects and a symbolic world of human meaning. Thus, since human beings have a dualistic nature consisting of a physical self and a symbolic self, they are able to transcend the dilemma of mortality through heroism, a concept involving the symbolic half. By embarking on what Becker refers to as an "immortality project" (or causa sui), in which an individual creates or becomes part of something which he or she feels will outlast their time on earth, a person feels he or she has "become" heroic and, henceforth, part of something eternal; something that will never die, compared to the physical body that will die one day. This, in turn, gives human beings the feeling that their life has meaning, a purpose, a significance in the grand scheme of things. From this premise, mental illness is most insightfully extrapolated as a difficulty in one's hero system(s). When someone is experiencing depression, their causa sui (or heroism project) is failing, and they are being consistently reminded of their mortality and insignificance as a result. Schizophrenia is a step further than depression in which one's causa sui is falling apart, making it impossible to engender sufficient defense mechanisms against their mortality; henceforth, the schizophrenic has to create their own reality or "world" in which they are better heroes. Becker argued that the conflict between immortality projects which contradict each other (particularly in religion) is the wellspring for the destruction and misery in the world, caused by wars, genocide, racism, nationalism, and so forth, since an immortality project which contradicts others indirectly suggests that the others are wrong. Becker also made the point that humankind's traditional "hero-systems," such as religion, are no longer convincing in the age of reason; science is attempting to solve the human problem, something that Becker felt it can never do. Becker declared that people need new convincing "illusions" that enable them to feel heroic in the grand scheme of things, in other words immortal. However, Becker provided no definitive answer, mainly because he believed that no perfect solution exists. Instead, he hoped that gradual realization of innate human motivations can help to bring about a better world. But I don't think one can be a hero in any really elevating sense without some transcendental referent like being a hero for God, or for the creative powers of the universe. The most exalted type of heroism involves feeling that one has lived to some purpose that transcends oneself. This is why religion gives him the validation that nothing else gives him. … When you finally break through your character armor and discover your vulnerability, it becomes impossible to live without massive anxiety unless you find a new power source. And this is where the idea of God comes in (Keen 1974). For man, maximum excitement is the confrontation of death and the skillful defiance of it by watching others fed to it as he survives transfixed with rapture (Becker 1975). He recognized, however, that the solution to the human struggle was not to be found in a narrow approach to the social sciences, but required a spiritual and theological component (Liechty n.d.). Becker's work was considered brilliant, and he was awarded a Pulitzer Prize for his Denial of Death. However, his work was not widely accepted within the academic community. His interdisciplinary methodology and critical views ran counter to the mainstream of the social sciences. However, after his death, following a period in which his work remained ignored, scholars in many fields began to study, teach, research, and write about the works of Becker. In 2002, a collection of essays by 28 scholars in some 26 disciplines, all influenced by Becker, was published as Death and Denial: Interdisciplinary Perspectives on the Legacy of Ernest Becker. In the first decade of the twenty-first century, as terrorism threatened many around the world, a trio of experimental social psychologists amassed a large body of empirical evidence substantiating the universal motive of death denial as advanced by Becker, published as In the Wake of 9/11: The Psychology of Terror (2002). The Ernest Becker Foundation is devoted to multidisciplinary inquiries into human behavior, with a particular focus on violence, to support research and application at the interfaces of science, the humanities, social action, and religion.